SEASON 25 June to 15th Sept. The Circular trek commences from the tiny hemlet of Batal in the Lahaul Spiti valley. Situated at the base of the mighty Kunzum-la, Batal is the starting point for the Chandratal are first nights camp.From here the path crosses two streams and the entress Lahaul and then in to Zanskar via the Phirtse la and Shingo la two of the few hight Himalaya passes.Finally Darcha is Lahaul is reached from where surface transport is available for Manali. Drive to Batal from manali over the Rohtang pass (13400ft)via the Chandra River valley.it takes about six hours to Batal bu road.Overnight on Batal At Batal pack-ponies will be awating it join the trek. A pleasant five hour walk and the cahndra –Tal appears. A majestic serene lake surrounded by mighty Himalayan peaks. A vast meadow, is the camping site on the banks of this enchanting lake. During spring times, it is carpeted with hundreds of kinds of wild alping floweres. Camp overnight. After five hours walk reach Tokpoyongma, a little ahead of the camping site lies a stream that has to be forded the next day early in the morning camp little away from the stream. Start very early because most mountain streams are low in the morning. The later part of the day generally makes the strem swell. Making crossings almost impossible. After crossing the stream, a six hours walk brings us to another barren camping site surrounded by rocky hills. Camp for the night . From here you can spot the Baralacha pass why ahead. Today s trail os through high country stewn with myriad streams flowing through green meadows .Ahead lies the 4833 M hight Baralacha –La. 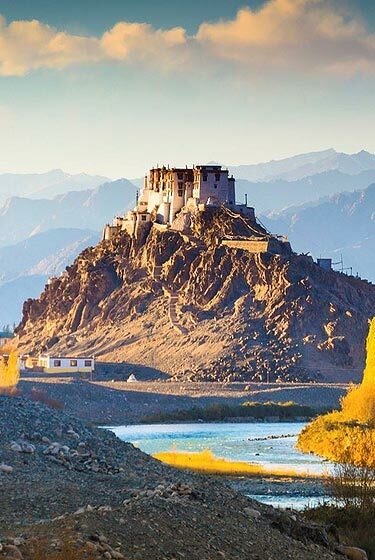 Baralacha means summit with cross roads .Roads from Spiti , Ladakh, Zanskar and Lahaul meet here and in ancient times it was part of a trade route . on the north west lies the Bhaga river while the Chandra flows south east . Camp near a beautiful emerald lake the suraj Tal , the source of the river Bhaga. The trail continues to wind upwards towards serailkelang a quaint little oasis amongst barren country. Following the left bank of the river yaman the site is reached , where a tiny fresh water brook provides welcome relief. The trail now narrows down and a river crossing is made. After this ,the terrain becomes more and more barren , the Landscape attaining fantasric forms and hues. Gradually the track becomes steeper as it leads to wards the 5250M high Phirtse La, the highest pass on the whole trek the trek The whole trek the trail now winds upward on the right bank of the lingti –chu river and after going up and down a couple of hills, Debin – the camping site is reached. An early start is recommended due to the kamirup stream . once past this the next crossing Occurs only at mid – day at kyonon. This originates from the phirtse – La glacier . it is advisable to continue and halt at the base of the pass from where extensive views are a delight. An early start to avoid the snow turning soft on the phirtse – La advised . A nice trail winds its way up to the apss on which a tiny glacier is Located to the left and on cret on the right is mani stone with tall poles downwards towards the camping site of shingsen. The trail now enters the Phirtse chu valley for Camping Overnight. After crossing a small bridge over shangse river, the trail goes evenly on the keft bank towards the tiny hamlet to Teta. On the way a long mani wall ac – companies the trail from quite a while and small Gompa is spotted Perched on one of the orange coloured hils to the right . camp is set up a little ahead of Teta. Today Teta remains the base come for a visit it the ancient Phuktal Gompa. The trail winds upwards for abot three hours and the Gompa is reached This Monastery belongs to the Gylugpa sect of monks and 70 of them reside here.Over the Gompa there is a Tiny spring which is said to have healing properties and whose leavel never changes . inside the Gompa in - tricate frecoes are seen but carry a torch , as the chamber is quite dark. There is also a stone table here that is said to have been left there by a Hungarian explorer who spent times in Phuktal around 1826 A.D Return to the base camp at Teta . This a aong day s walk goes over moonscape country . Eroded rocks as –sumeal forms and colours, and in the distance, the Zanskar peaks emerge majestically . kargiakh is the last village of the Zanskar region after which Lahaul is entered . kargiak has numerous Mani walls , stupas and here the best Yoghurt (curd) is available in whole of Zanskar . Camp a little before the tiny village. Lakhang lies at the base of the 5096M high shingo –LA. A grasual walk through barren moonscape with the might peaks of the Zanskar region eternally looming over the trail finally ends at Lakhang where camp is pitched. A steep ascent to the saddle of the pass is rewarded at top by some of the most awersome scenery ever withessed in the Himalayas. TO the north lie the Zanskar mountains while to the south , the mountains of Lahaul appear with sudden impact. As always prayer flags flutter in the strong winds characteristic of most Himalayan passes.from here an other equally steep descent later, the camp site of chumoknakpo is reached. Watch for wild horses in the upper valley. The trail proceeds over rugged , barren countruside and it is a fairy easy walk. 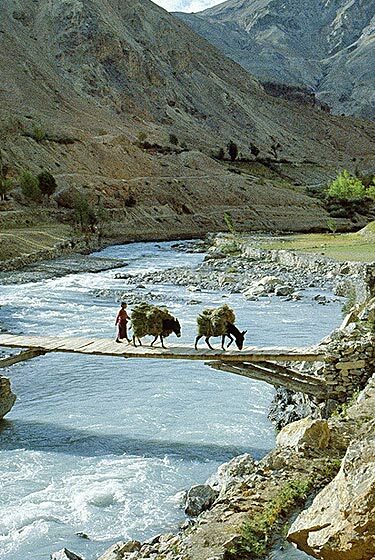 A river Crossing is involved and a short while later the camping site of Zanskar sumdo appears.Alittle vegetation after a long while brings welcome relief, camp overnight. Slowly the mountain desert desert gives way to craggly trees and patches of shrubs .on the way two icy rivers have to be forded so it advisable to leave zankarsumdo . Along days walk and the trail reached Darcha on the banks of the Bhaga river. From here surface transportation is available to Keylong and Manail. Travel between Delhi and Manali Manali - Delhi (can be arranged by us on request).We charge extra for all transportation.